These super earrings are by the American designer Francisco Rebajes and I believe were made in the 1950s. 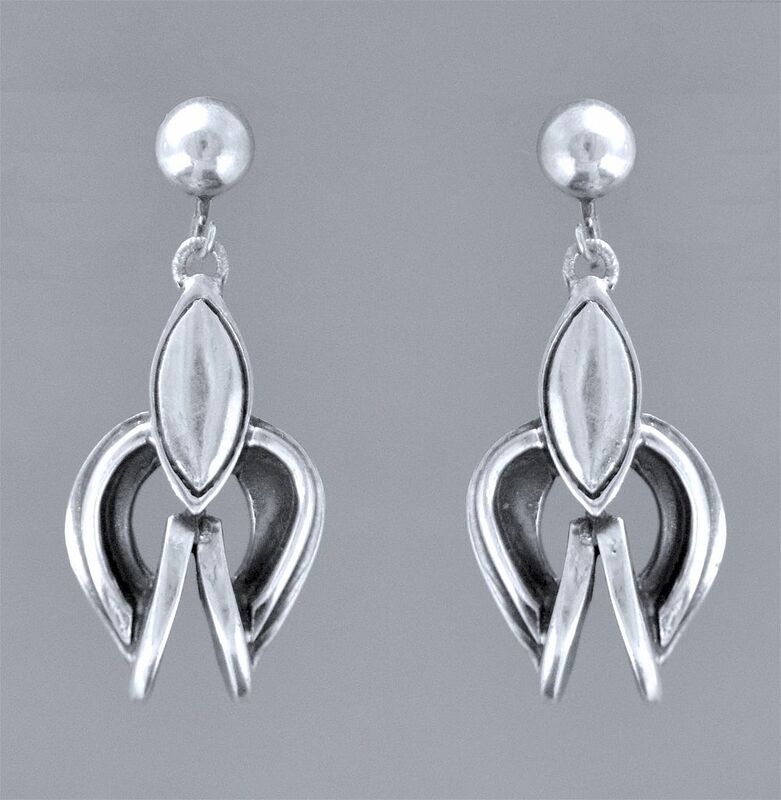 The top of each earring consists of a round silver dome to which is attached the screwback fittings. The articulated drop section is an abstract design that reminds me of a stylised fuchsia. 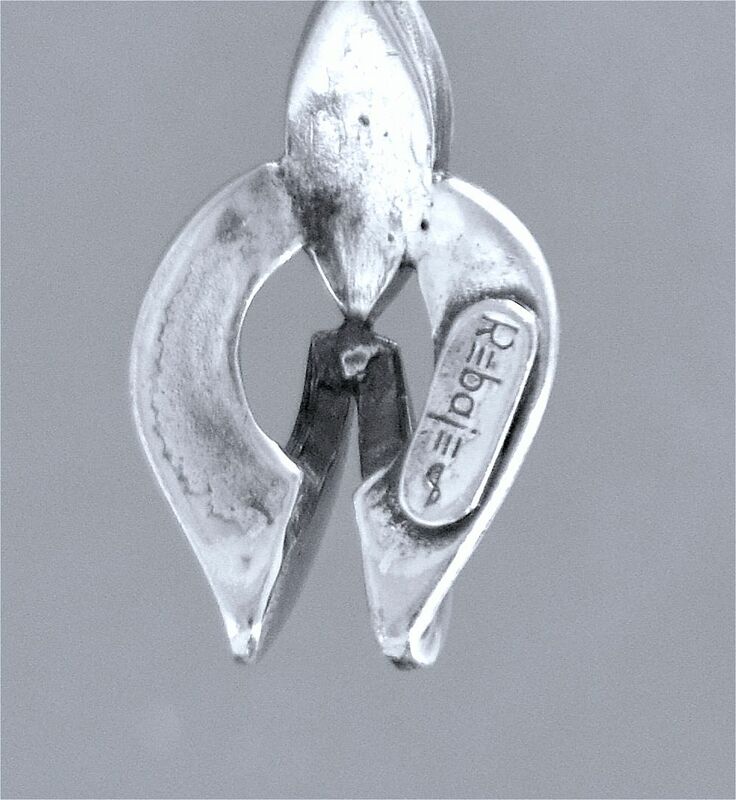 There is a silver plate on the back of each drop that is stamped "Rebajes".